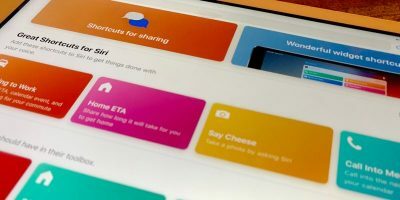 While most developers use popular IDEs like Xcode and Sublime Text on their Macs, few realize that their iPads are also capable of handling coding apps. 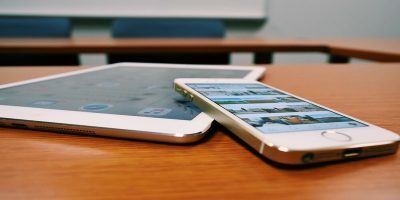 While you may not be able to build and release native apps for iOS on an iPad, there are certainly some capable mobile IDEs that will allow you to develop websites, or at the very least, act as a very powerful supplementary IDE to your main device. Coda by Panic is well-renowned with web developers as an excellent sublime-alternative IDE on the desktop. 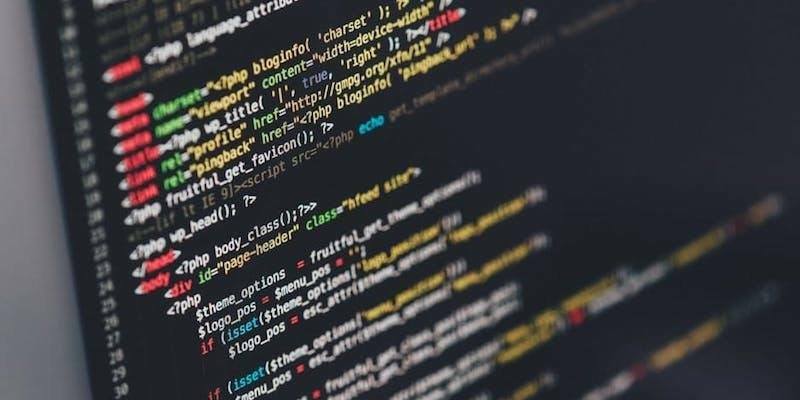 Beyond being a strong text editor, it also comes with in-built tools to preview dynamic websites, strong regular expression tools, a built-in terminal and MySQL. 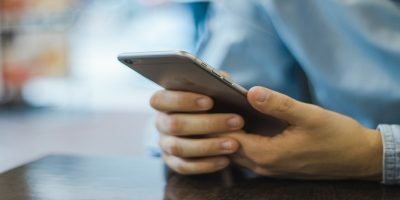 What the development community may not have been aware of is Coda for iOS extends the reach of development beyond the keyboard and into tablets and phone devices, allowing most of the same features to be extended onto mobile devices. 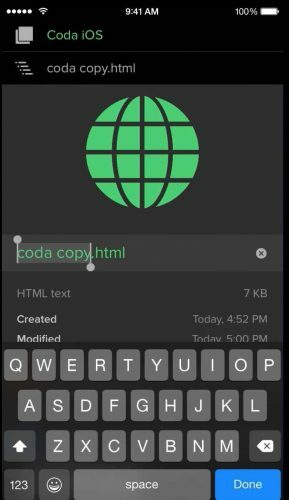 Whether the developer uses the mobile device to do minor touchups or spends hours coding, the mobile version of Coda is just as capable. 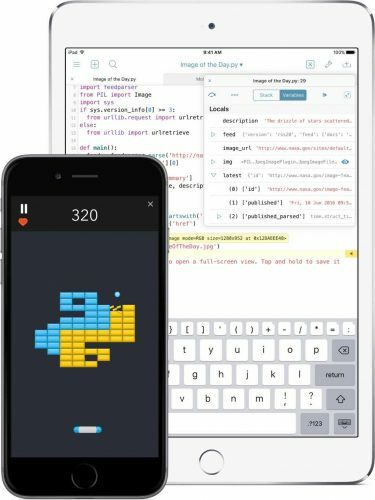 For the Python coders out there, Pythonista is a compete python editor for coding completely via one’s iPad or iPhone. 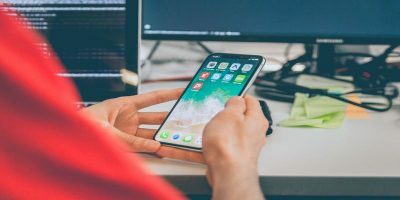 While the python developers would be familiar with the standard libraries provided, the benefits that Pythonista provides includes the ability to interact with native iOS features like location, reminders and data. You can write automation scripts with access to data from the clipboard, your contacts, reminders, and photos. 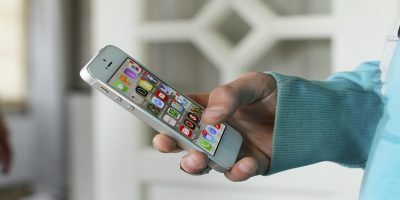 You can also use your device’s motion sensors and geo-location data, and Pythonista is probably the easiest way to experiment with Twitter APIs. Koder is a fully-baked development environment built specifically for iOS with support for over 80 programming languages, syntax highlighting and auto-complete, which makes developing on the smaller screens a lot more convenient. Like Coda, Koder also provides SSH and SFTP access, as well as Dropbox cloud access for remote access, and the ability to preview your code in a browser. Like Koder, Buffer Editor provides a native and purposely-built development environment with features similar to the two development environments just mentioned with the exception of direct access to GitHub, which is very convenient for the source-control minded developers. Finally, Git2Go isn’t a text editor IDE per-se but more a quintessential iOS app for managing your Git repository, although it does have an editor for editing Git-stored files on the fly. Git2Go is the first app for iOS which unleashes your full development productivity from everywhere. Clone all your GitHub and Bitbucket repositories with just one tap, manage branches and easily commit changes after you’ve edited code on the fly – all from your iPhone and iPad! Essentially, you have an app that will allow you to work with your Git repositories, with branching, cloning and the other essentials on the go, yet more importantly works well with other IDEs. You could, for instance, pull the latest code from the repository, pass it to the Coda app for iOS (which we mentioned earlier) and edit the code, then commit. In short, Git2Go completes the development environment on iOS along with your IDEs to not only work with code but persisting and versioning. The iPad has an array of IDEs and development-assistant tools that can make a developer’s life a lot easier. 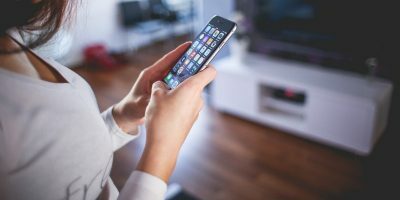 With Apple’s Swift being an open-source language, we may start to see in-app Swift compilers in the near future as well.